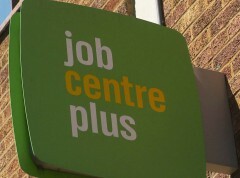 A man had his JSA sanctioned because he had not attended a 2-day training session with a back-to-work scheme provider. The man insisted he had attended on both days, and the training provider had confirmed that. A security guard at a Job Centre turned away a man with learning disabilities who had arrived 20 minutes early to sign on. He then returned 2 minutes late to sign on and had his JSA sanctioned for 4 weeks. A man was sanctioned for 4 weeks because he missed an appointment with his back-to-work scheme provider. He hadn’t known about the appointment because the letter had been sent to an address he left over a year before. JCP were aware of his current address. A woman claiming ESA had been diagnosed with cervical cancer and had given the back-to-work scheme provider a list of her hospital appointments. She was sanctioned for failing to attend an appointment on the middle day of a 3-day hospital stay. The woman had 2 daughters and her ESA was reduced to £28 a week. She asked for reconsideration, but had heard nothing 5 weeks later. A woman was sanctioned for 4 weeks for failing to attend provider-led training when the receptionist had rung to tell her not to come in because the trainer was ill. She was subsequently told that she should have attended to sign the attendance register. A woman whose ESA was sanctioned had her benefit reduced from £195 to less than £50 per fortnight because she missed a back-to-work scheme appointment due to illness. Her sister had rung 2 days beforehand to say she couldn’t attend, and arranged another date which she did attend. An epileptic man had his JSA sanctioned for 4 weeks because he did not attend a back-to-work scheme meeting because his 2-year old daughter had been taken ill and he was her sole carer that day. He rang the provider in advance, but was told this would still have to be noted as ‘did not attend’. During the 4-week sanction he suffered hunger, hardship, stress and an increase in epileptic attacks, but he was not told about hardship payments or food banks or how to appeal the sanction decision. A man in Yorkshire & Humber was sanctioned for allegedly failing to attend back-to-work scheme events. He had in fact attended, and the provider had no record of any failures. His hardship request was not processed, his HB was stopped, and he fell into rent arrears and had no money for food, gas or electricity. Nor are these isolated examples. After the Tory government tightened the rules at the end of 2012, 875,000 persons were sanctioned in the following year including 305,000 who lost benefit for 3 months and 73,000 who were deprived of benefit for 3 years! Posted in: Benefits, Social Affairs. We in the labour party will accept the welfare cap, so really these days what the Tories do I expect labour to back.